You don't have to be a cute animal to show the world how to "Be Together. Not the Same." But it definitely helps. 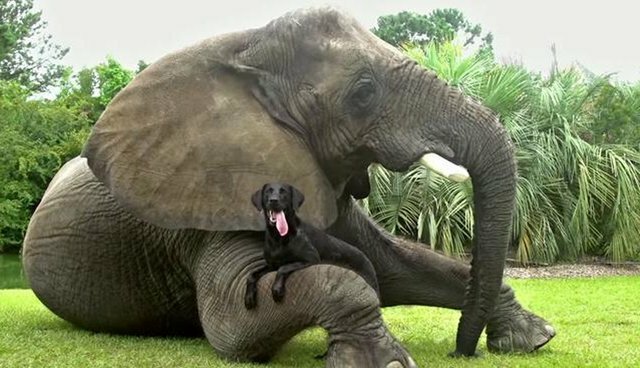 The latest ad for Google's Android is hysterical, and adorable, as it features various pairing of different animal species playing and frolicking with each other. Baby rhinos and goats, lion cubs and puppies, bears and tigers-oh my. A big part of the charm is that it's set to Roger Miller's 1973 ditty, "Oo-De-Lally" from Disney's Robin Hood soundtrack. This was the animated Robin Hood that featured an entirely animal cast, so the song aligns the spot conceptually, too. It sets a whimsical, carefree tone that makes you wish you were a kid again playing with your animal buddies, and didn't have to go to work ever again. Actually, it makes you wish you were a baby animal.